Runners took on the distance of nearly two marathons to complete “The Long Stage.” The fastest finish was in less than eight hours, while the longest was more than 30. On average the previous three stages have been 33.9 kilometers long, but the fourth stage is more than double that with a distance of 76.3 kilometers—nearly the length of two marathons. 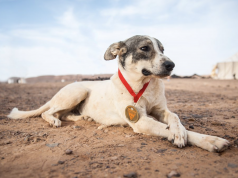 Organizers broke up the stage into six checkpoints equipped to help both the runners needing rest and the ones that wanted to continue to race through the night to make it to the fourth bivouac. 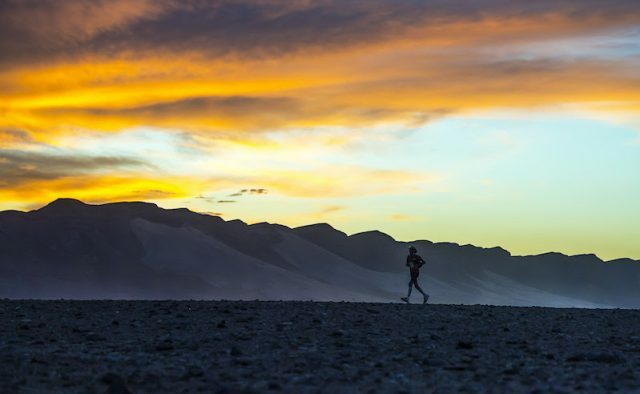 As the world’s longest desert race continues, fewer runners have been taking to the starting line. 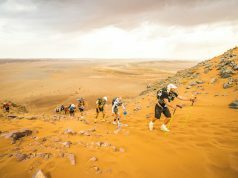 At the beginning of stage one, the MDS had 783 competitors—the fourth stage saw only 768. 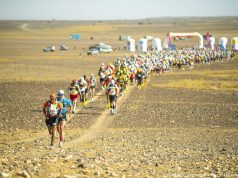 While its length was the stage’s main challenge, temperatures also reached up to 33.2 degrees Celsius—the hottest runners have encountered so far. 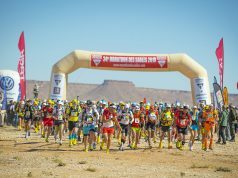 With Rachid and Mohamed El Morabity taking the first and second spot for the fourth stage in a row, the two Moroccan brothers have all but cemented their overall victory in this year’s MDS. The time it took competitors to finish each stage is added together to create their final time and determine the ultra-marathon’s overall winners. To improve his score, French runner Merille Robert raced is way back to the top five for the first time since stage two. The Long Stage’s top five women finishers saw both new and old blood. Dutch runner Ragna Debats decisively took first place for her fourth stage in a row, finishing nearly 25 minutes ahead of Moroccan runner Aziza Raji—who finished second behind Debats during the first and third stage. With her continued dominance, Debats has all but secured her overall first place finish in the competition. But the rest of the podium still remains uncertain. Raji, along with British runners Gemma Game and Lauren Woodwiss and American runner Meghan Hicks, are all vying for the second to fourth spots. This long stage also saw Spanish runner Monica Guilera Sala finish in the top five for the first time—whether or not this will be enough to push her into the overall top five women will depend on tomorrow’s race. Other than its nickname “The Marathon Stage” and its distance of 42 kilometers, complete details about the fifth stage have not yet been released. Runners began this stage on the morning of Friday, April 12. 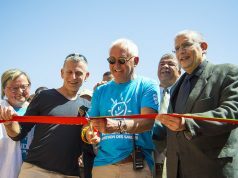 The 34th MDS began on Sunday, April 7. The first stage was mostly mixed terrain while desert dunes defined the second stage. The ultra-marathon’s halfway point was reached at the end of the third stage, which runners raced on Tuesday.